For the time being, vape shops like Muse Vape are safe in that city officials have decided not to enforce the e-cig part of the indoor smoking ban. At this stage, officials say that the city has three options. They could simply continue not enforcing the current law against vaping devices. They could amend the indoor smoking ban ordinance and eliminate the mention of e-cigs. 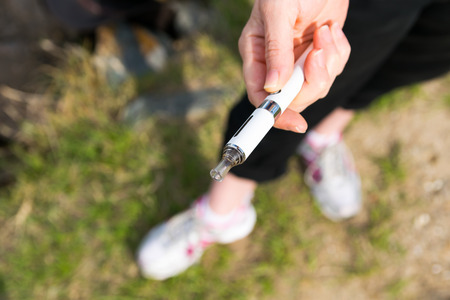 The third option is that a completely new law could be written and passed – but the third one would be to write a separate ordinance enforcing the e-cigarettes and vapor products not be used indoors. Smaller bar owners like Kotche have said that they are actually in agreement with smoking ban advocates in that they don’t want to current law to be completely overturned. Kotche said that he would just like something fair for everyone – a law that doesn’t put them at a major disadvantage over the St, Joe Frontier Casino, where smoking is still permitted in the gaming floor area. Kotche has a few allies as well. Steve Peterman, owner of Peterman’s Shamrock, said, “It’s about as unfair as it can be. Anybody with common sense can see this is not right.” Kotche and Peterman have said that the city is being selective with regards to where it enforces the smoking ban. They have also received multiple citations from the city for permitting smoking inside their establishments, while others doing the same aren’t being punished.